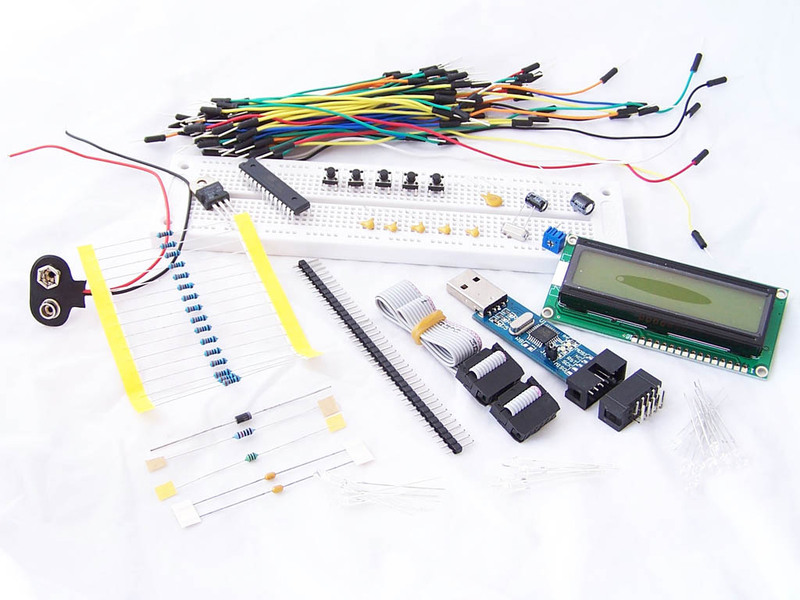 The ATMEGA168 Experimenter’s Kit contains all the bits you need to create atmega168 circuits on a breadboard. 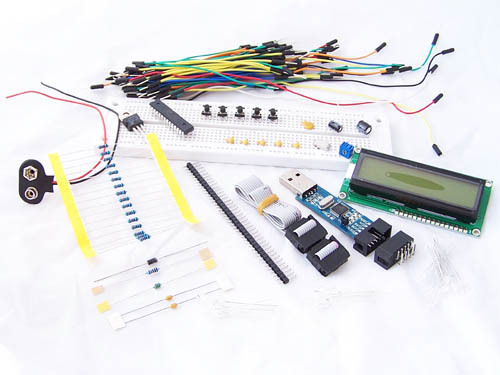 It includes the microcontroller, breadboard, LCD module, USB Programmer and a whole lot more. The full list of included items is below. At $65.00 it is also quite a bit cheaper than buying all the bits individually. I’ve built the part with the LED blinking 3 times, the ‘Hello World’ LCD test program and the AD converter, all on one breadboard. I added a foto transistor in the AD convertor schematic and now it gives me a measure of light! The parts I received differ slightly from the list above, some of them as of yet no idea what to use them for. Nice, neat and quick delivery, handy tutorials, I recommend this ATmega168 set to everybody, the price is very competative also. Question: could you perhaps create an article building a cloak or alarmclock with this kit? Shouldn’t be too difficult to use the internal timer, some of the pushbuttons and the lcd together to form some sort of digital clock?